My dear husband and I both love the garden. I love the planting and harvesting, he loves the work in between. This makes for a perfect team. This year, we started some of our plants indoors. This was a first for both of us. The biggest issue we had was it was too cold to put our little green house outside until April. Because of the cold, we had to leave the plants in the house much longer than would have been desired and they didn’t get the kick-start they would have from a heated greenhouse. The tomato plants were the hardest for us to start. In the end, we only had 3 or 4 make it to the ground. We had much better luck with peppers and squash. We also tried our hand at starting flowers. Because these were started a bit later, they were doing beautiful…UNTIL a very windy day at the end of April. My dear husband had our little starter greenhouse opened so the plants wouldn’t get too hot and get some air. Of course, this was a recipe for disaster when a big wind came and knocked the greenhouse over, dumping over half the plants. We were able to save some of the plants and for the most part they are now in planters or in the ground. With the warmer weather we have had the last couple of weeks, we visited our local nursery and purchased plants for the herb garden and our big veggie garden. The early garden is now starting to produce and we had our first veggies over the weekend. 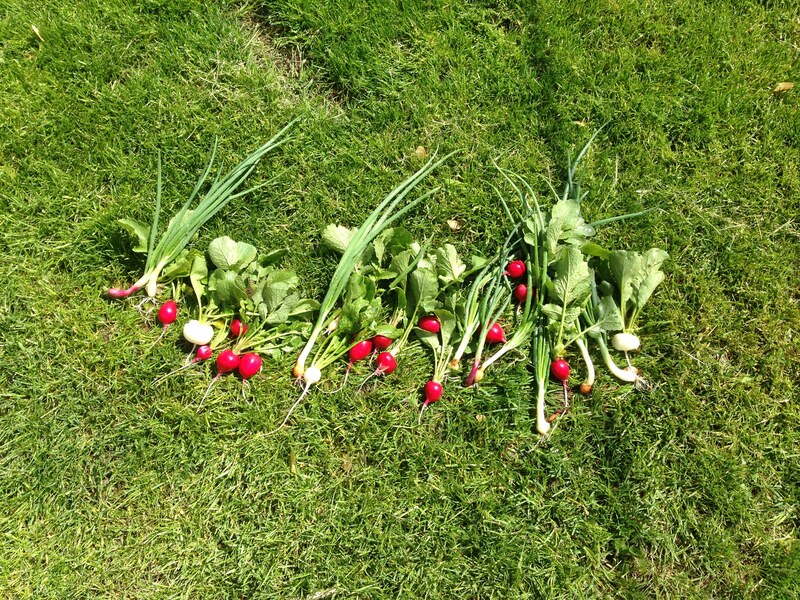 Nothing tastes better in your salad than your own onions and radishes. We will have fresh lettuce in about a week. All in all, our adventure in starting from seed was not all bad. We will try again next year, but will definitely make some tweaks to our process. Warmer weather has begun making an appearance around here. This year in our area (much like most of the country), we have had a wicked winter. Finally, the weather has broken a bit and it looks like it will be at least a little somewhat warmer. 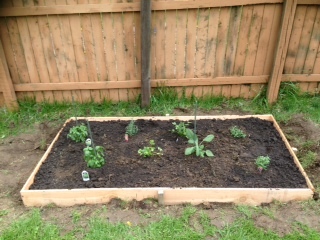 Earlier this week, when I got home from work – Larry surprised me and had our early garden started. The great thing about the early garden is you don’t have to wait until all fear of a frost is gone. Unfortunately, you do have to wait until the grown warms up enough your seeds will germinate. We had 3 days in a row where it got above 60 and the ground was beautiful. 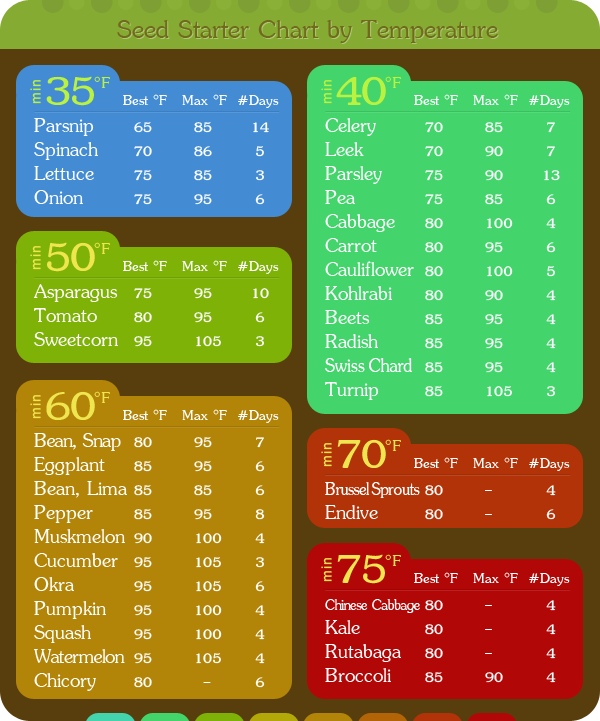 Below is a graphic from http://averagepersongardening.com/ about soil temps. I thought it was helpful. He tilled the two areas of the garden where we plant our early stuff. This week he planted onions, radishes and lettuce. Sometime in the next few days, I think we are also going to add a row of carrots. Carrots are new for us this year, and not quite sure how they will turn out. But hey, part of this is about the adventure. I also started our flowers inside. My hope is tomorrow to move our little greenhouse outside so the little seedlings can really take off. I’m pretty sure we are going to have some winners and losers in our planting adventure, but it is definitely going to be fun. I will post some pictures in the next week to show our progress. Pretty soon, it will be my turn to get my hands dirty. My focus is on our herb garden and the flowers. It is not quite warm enough in our area for either yet, but soon enough. 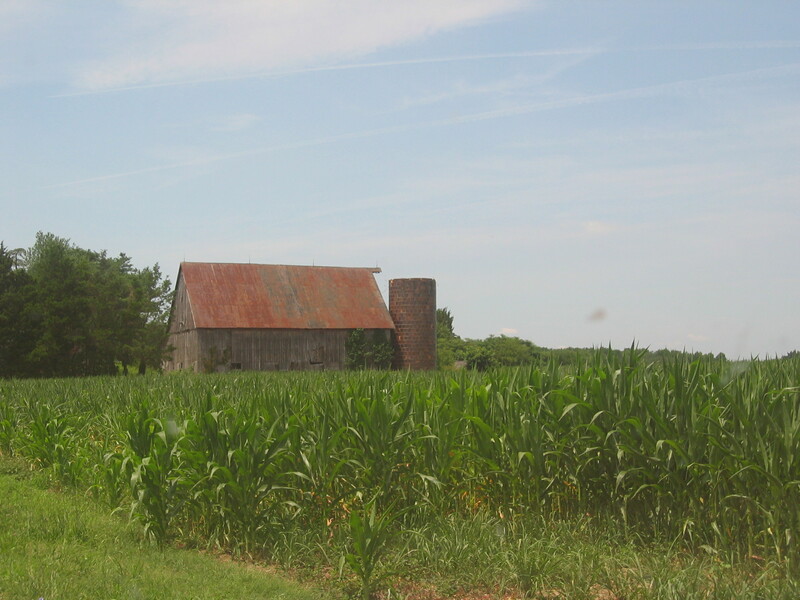 The best part of this adventure is in just a few weeks we will have fresh vegetables we grew ourselves. With the particularly harsh winter we have had, it is great to know Spring is just a few weeks away. Last year was the first year I was really involved in gardening and I found I loved it. I have started planning our garden for this year, taking us from early Spring to late Fall. Last year, we purchased our plants from local greenhouses. This year, we are getting ambitious and are going to try to start the majority of our plants ourselves. Larry has always had a garden, but herbs and flowers were new to him. Being a sport, he made my first herb garden. We wanted to keep it as inexpensive as possible, because we were not sure if we would like the results. For our first try, it did not turn out too bad. We built the sides from untreated fence board (total cost approx. $5). We filled it with potting soil ($2). We then purchased the plants ($8). 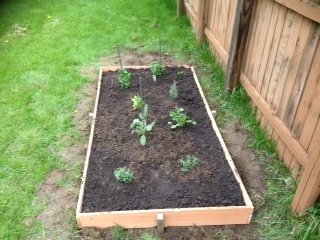 I planted two basil plants, two cilantro plants, one Rosemary plant, two lavender plants, and one oregano plant. So for about $15 we had an herb garden we used all summer. This year, the cost should be under $5 to get started for the summer.